Our beloved Pearl "of Siam" headed off today in the back of a mini-van contentedly munching away on hay. 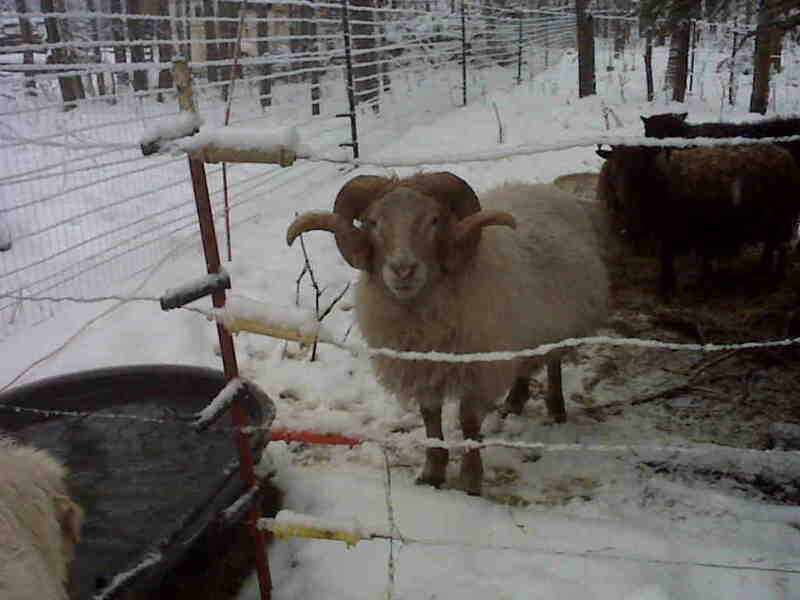 She was sold as a bred ewe to a farm in West Corinth. We are sad to see Pearly leave us, but know that she will have a great place in West Corinth. We'll miss her complaisant gaze and bossy demeanor. 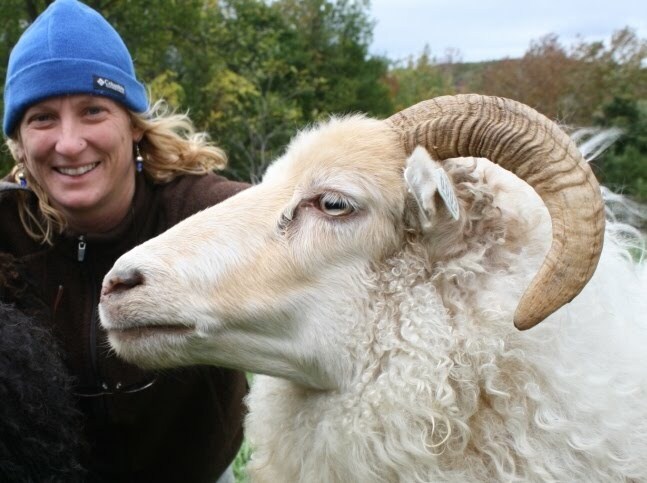 She is a good, hardy mother and will make a fine addition to the flock at her new home. Farewell Pearl! Hi Laura, Orn is awesome! Everybody at Delta cargo crowded around to take pictures as we transferred him from the crate to our trailer, lol. He is such a sweet guy, and of course a hit with his new ewes. An artist friend of mine is painting him also - he's quite popular here! Trimmed his hooves the other day and he was even polite about that. I only have this one lousy picture taken with my blackberry. I keep waiting for a chance to take a better one, but seems like it's either -10 degrees below zero or dark... I'll send more soon. Happy Holidays!